A group of tricycle riders, popularly known as Keke Napep, in Enugu, Tuesday held a peaceful protest to express their dissatisfaction over extortion and to press home their demand for a new leader. The keke riders who gathered at the popular Obiagu street were heard chanting: We cannot pay such a huge amount of money just for I.D card and forms. We don’t want Ika anymore. We are tired” let him go. 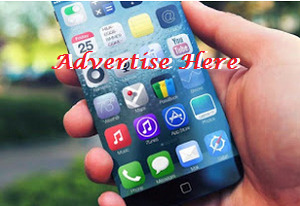 Speaking during an interview, one of the Keke riders who pleaded anonymity said that Ika who is said to be their chairman does not mean well for them as he has been making efforts to extort their money. “We have gone through the same process of registration when we started the business” he said, adding that he wonders why they are being asked to pay. According to him, “we are going straight to the Government house where we shall complain to the governor and tell him that we are tired about the leadership of Ika and that we want a leader who is transparent. 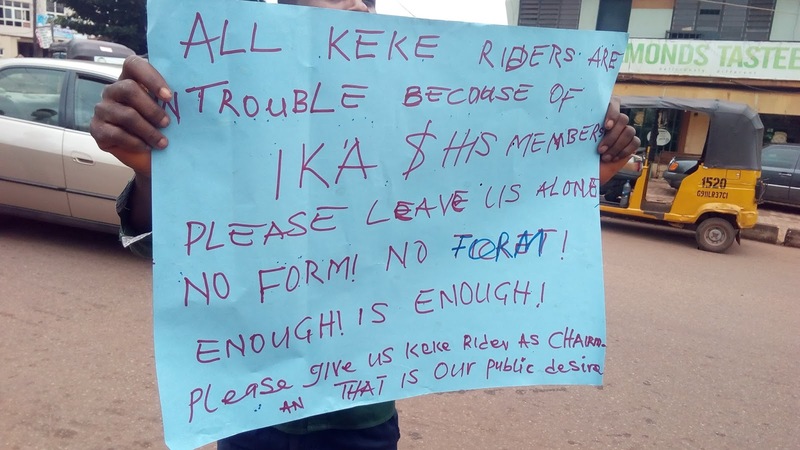 The protesters were seen carrying placards with such inscriptions as “All keke riders are in trouble because of Ika and his members. “Please leave us alone, no form! No form! Enough is enough”. Another inscription read thus: Keke rider want a new chairman. As for now, no ticket, us a no form to use the road. Ika and his members should leave us alone. Enough is enough.